GRC 2017 challenges readers to venture outside their usual reading boundaries. It is usually fairly easy to get started on a global reading challenge - we've all begun our reading for the year and you will be able to identify at least one of the continents that your reading has come from. 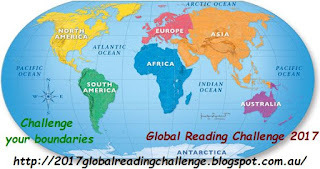 The hard thing with the Global Reading Challenge is always completing the challenge you have set yourself. 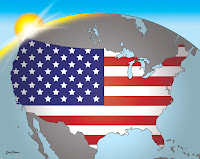 There are 7 continents, including the one you have "set" yourself. The Easy challenge asks you to read one title from each continent, the Medium challenge requires 2, and the Expert challenge 3. If you set yourself the Expert level you could possibly read books from 21 countries or states. 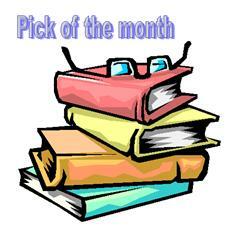 I set myself another challenge of including only crime fiction. So why not enrol in the Challenge today. Do it here. If you want some tips for record keeping, my own records are here. I have never been able to make that site generate a map. Is there a trick to it? On that page, my computer shows an update for drivers - it looks like an ad. Do you have to use that? Thanks! At World 66, you should be able to go to visited countries, choose some countries, and get it to generate the map. At least that it is how it used to work. I could not get it to do that either today. Sorry. You do not need to generate a map. Just go to the bottom of the page and add your name and blog URL to the Mr Linky.